At the end, we’ll also recommend some reliable and secure batteries from sellers that you can trust on Amazon. One of the most important factor that you must know before buying an inverter is your “Power requirement”. In simple words- what all electrical appliances (like fan, tube lights, television, CFL etc.) you want to run at the time of power failure. The power requirement is addition of the power consumed by various electrical equipments. It stands for the Volt ampere rating. 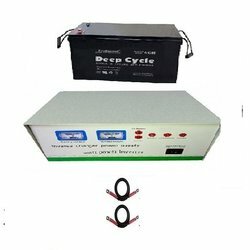 It is the voltage and current supplied by the inverter to the equipments. 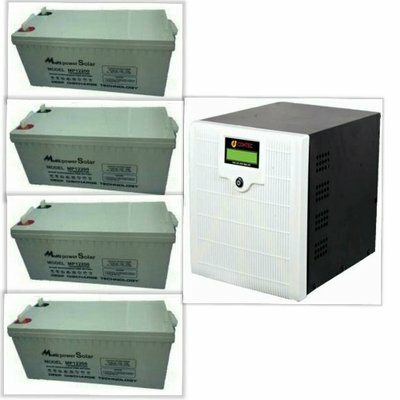 If an inverter operates with 100% efficiency, then the power requirement of the electrical items and power supplied by inverter is same. But we all know that 100% or ideal conditions don’t exist in real. Most inverters have the efficiency range from 60 % to 80%. This efficiency is also called power factor of an inverter and is simply the ratio of power required by the appliances to power supplied by an inverter. Power factor of most inverters ranges from 0.6 to 0.8. READ ALSO: Why do inverter batteries die earlier than expected? Hence Power supplied (or VA rating of inverter) = Power requirement ( power consumed by equipments in watts) / Power factor( efficiency).